Today holds significance for many reasons, and rightly so — today is International Women’s Day. With thoughtful intentionality, we chose to launch the first global advocacy campaign of Habitat for Humanity on this exact day two years ago. Women are half of the global population, yet are routinely and systematically denied their right to land. When creating our campaign to increase access to land for shelter, we recognised the importance of promoting policies and systems that make equal property rights a reality for women, and, in recognition, we placed gender equality as one of the primary focus areas of the Solid Ground campaign. I am constantly in awe of the work we have accomplished together since the launch of the campaign two years ago. To date, we have improved policies and systems with the potential to increase access to land for shelter for 1.6 million people — many of them women previously lacking equal access. As we celebrate our two-year anniversary for Solid Ground, it could not be more fitting to share our participation in a month-long campaign Her Land Her Story, organised by Cadasta and Land Portal, to shine a light on the need for women’s land rights. Her Land Her Story features the stories of real women from around the world to build public support of the need for gender equality and property rights. We are proud to join the Her Land Her Story campaign by highlighting the stories of these three inspiring women we have come to know through our work over the past two years. 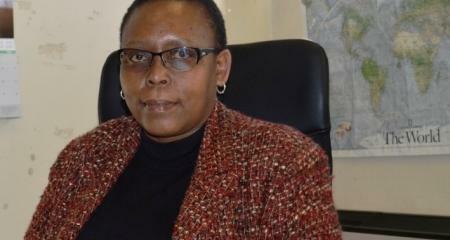 Although she has never regained what was taken from her, she is finding ways to affect change in the legal and cultural systems in Lesotho that give women equal access to land for shelter. Today, Bohlokoa works for Habitat for Humanity Lesotho as an advocacy specialist actively working towards land rights for women. Estella lived in a home in coastal Honduras without basic necessities, constantly exposed to heavy rains and storms. During the heavy rains, she would have to hoist food and beds on cinder blocks to keep them from getting soaked. The wind would blow the roof off her makeshift home, causing even more issues. 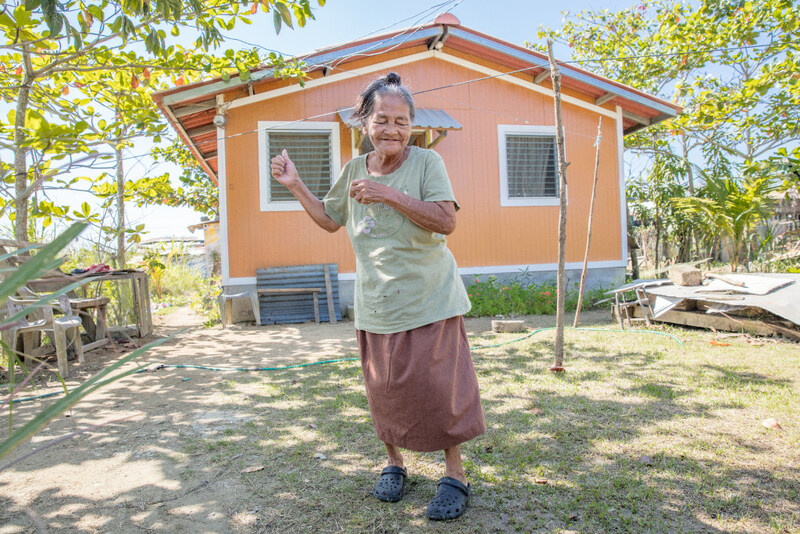 With the help of the advocacy efforts of Habitat for Humanity Honduras and many partners, she gained access to land for shelter and now lives in a stable home, protected from the weather. She now welcomes the storms. “I am so tranquil here,” she says. Masilamani and her husband Chirta are a part of the Indian tribal community of the Irulas. They work as sugar cane cutters and have never owned land. The land that her family lived on was used for community farming. They never dreamed of owning their own land or home. 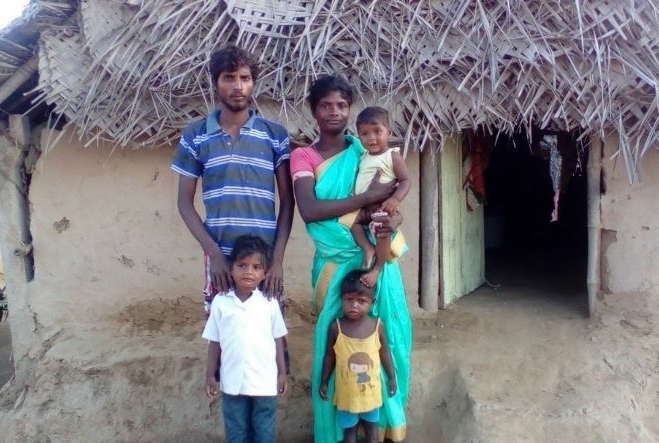 Habitat for Humanity India’s involvement in the Solid Ground campaign has supported families such as Masilamani’s in voicing their requests for proper land documentation to the government, and the government is listening. Learn how you can join our ‘Build Solid Ground‘ campaign today!